Buy My Vocal Style eBook Now! 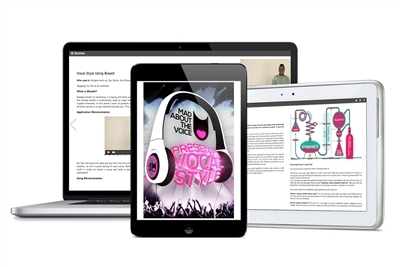 To access your copy of Mad About The Voice Vocal Style eBook, you will need to firstly purchase via the online shop. Once you have completed your purchase, you will be emailed your registration details and promted to log in. Please remember it is an offence to share the contents of the eBook or your log in details with another person.